Lynette Peraza attended Mater Dei Catholic High School prior to transferring to High Tech High Media Arts where she now studies in the honor program. 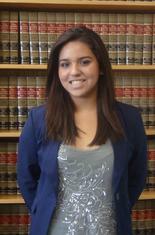 She interned at Thomas Law Group for her junior year Academic Internship Program throughout the month of January 2012. She has always had a great interest in law and humanities, but the experience of interning at Thomas Law Group increased her passion for law and justice and she now plans in the next two years to attend University and go further into Law School where she aspires to study Business or International Law. She is scheduled to graduate High Tech High Media Arts in the Summer of 2013. Anthony Matson graduated from Western Washington University with a degree in Economics, Political Science and Philosphy. After recieving his undergraduate degree he worked with people with developmental disabilities until realizing his passion for the law. 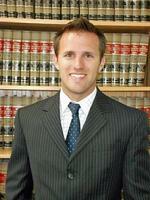 He attended the University of San Diego paralegal program and worked as a paralegal before applying to law school. 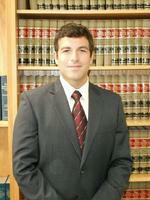 He is currently a second year student working on his J.D at Thomas Jefferson School of Law. Due to his academic diligence, he recieved the American Jurisprudence Award in Legal Writing II and has been placed on the honor roll. James Gibbs recieved a Bachelor of Science degree in Consumer Studies and a minor in Buisness from Virgina Polytechnic and State University. After recieving an undergraduate, he worked as a contract manager for a loading dock and industrial door company in Dallas, Texas. The position facilitated his interest in the law. 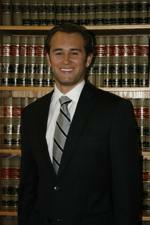 He is currently attending Thomas Jefferson School of Law in San Diego, California and going into his second year. He is interested in corporate and securities law as well as entertainment law. Benjamin Lindquist graduated from the University of Utah David Eccles School of Buisness with a Bachelor of Science degree in Finance and Information Systems. Mr. Lindquist is currently a second year law student at Thomas Jefferson School of Law, and has been recognized for his academic excellence as the recipient of the American Jurisprudence award in his Legal Writing and Research II class, and by making the honor roll both semesters. He has attended Thomas Jefferson School of Law and has been admitted to San Diego State University's MBA program and will begin his enrollment there in the fall, in order to obtain his JD/MBA degree. Michael Whitmore graduated from California State University, Chico with a degree in economics. 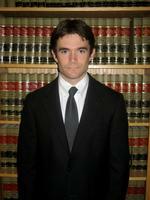 He is currently a second year law student at Thomas Jefferson School of Law. He is on the honor roll, and is scheduled to graduate in December of 2011. 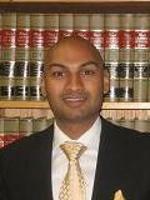 Vikram Monder graduated from the University of San Diego in 2008 with a Bachelor of Business Administration in Finance. He is currently a third year law student at Thomas Jefferson School of Law. In law school, Vikram Monder has been recognized for his academic excellence as the recipient of the high grade award in Business Associations as well as being named to the Distinguished Honor Roll. As a member of the Alternative Dispute Resolution Team, Mr. Monder has represented Thomas Jefferson School of Law as a finalist in competitions designed to facilitate settlement agreements between parties. Furthermore, Mr. Monder has been acknowledged by the South Asian Bar Association as the 2009 Member of the Year for fostering the first South Asian Law Student Association at Thomas Jefferson School of Law. J. Kyle Gaines earned his undergraduate degree from the University of California, Santa Barbara where he majored in Political Science with an emphasis in International Relations and received a minor in History. 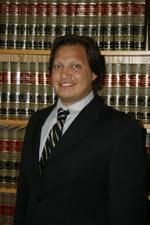 He currently attends Thomas Jefferson School of Law where he is on the honor roll and a Jefferson Fellow. He will be on the Thomas Jefferson Mock Trial team for the 2010-2011 school year. He will graduate in the Spring of 2012. 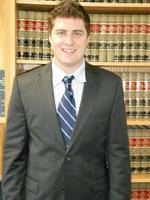 Joshua Pal has recently completed his first year at Thomas Jefferson School of Law. He earned his Bachelor of Arts degree in Information Technology and Informatics from Rutgers University in 2004. Prior to law school, Joshua spent years as a supervisor in the Employee Stock Plans department at E*Trade Financial where he held Series 7, 63, 24 and 4 licenses as well as the CEP designation. At Thomas Jefferson, Joshua has been named to the Honor Roll and Distinguished Honor Roll and is a member of Law Review. He plans to earn his JD in 2012.